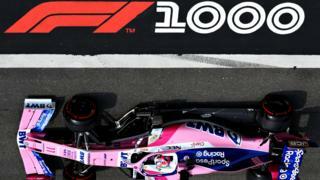 Lee McKenzie and David Coulthard are joined by Toro Rosso's Jean-Eric Vergne after Lewis Hamilton claimed pole for the Chinese Grand Prix. Hamilton was more than half a second clear of Red Bull's Daniel Ricciardo with Sebastian Vettel third and Nico Rosberg fourth. Vergne qualified ninth and is happy to be enjoying his racing this season after the disappointment of missing out on a drive with Red Bull this season.